On Valentine’s Day, you can use your dining table to bewitch whom you will. Clearly, your table cannot float down the Nile; it may not be burnished with gold and decorated with pretty dimpled boys like smiling Cupids to attend your guests, with you dripping in jewels and arranged in shimmering silks atop it. But anyone can light a profusion of candles, gather scented flowers, and use gleaming silver—with the goal of glowing surfaces everywhere, the better to reflect skin and eyes. Cleopatra planned a stealthy assault on a world-renowned seducer and leader, and you can too. 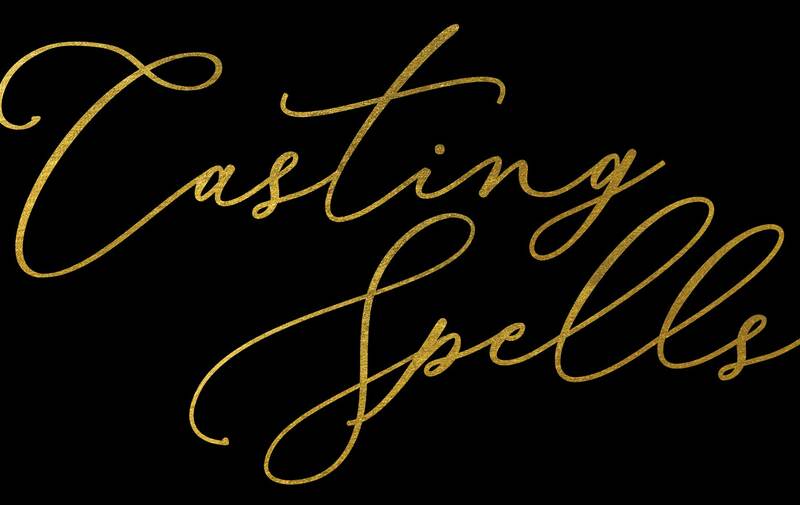 Your dining table is your secret weapon and could be the vehicle for casting spells. You can orchestrate business deals and marriage proposals, ignite or rekindle passions. In fact, there is not much a dining table cannot do when set to extract the maximum benefit out of this four-legged physical asset. Every four-star general knows winning the heart and mind of the target takes strategic planning. Even fishermen need to set the hook. You want your Valentine to forget all else but you. Your dining table is your secret weapon and could be the vehicle for casting spells. So, what is your hook? First, you must be clear on what is it that you bring to the table. It’s not just about décolleté and killer shoes. Stilettos remain hidden—they may be useful for playing footsie, but such a tactic is pedestrian and beneath your expertise. Save that trick for later. Naturally, drape yourself with the most luxurious threads you can slide into, but it’s more important to use your wit, humor, and conversational skills. Even more beguiling, be curious and an intense listener. A true seducer effortlessly makes the other feel like a star. It’s second nature. The Meeting of Antony and Cleopatra: 41 BC by Sir Lawrence Alma-Tadema, 1883. 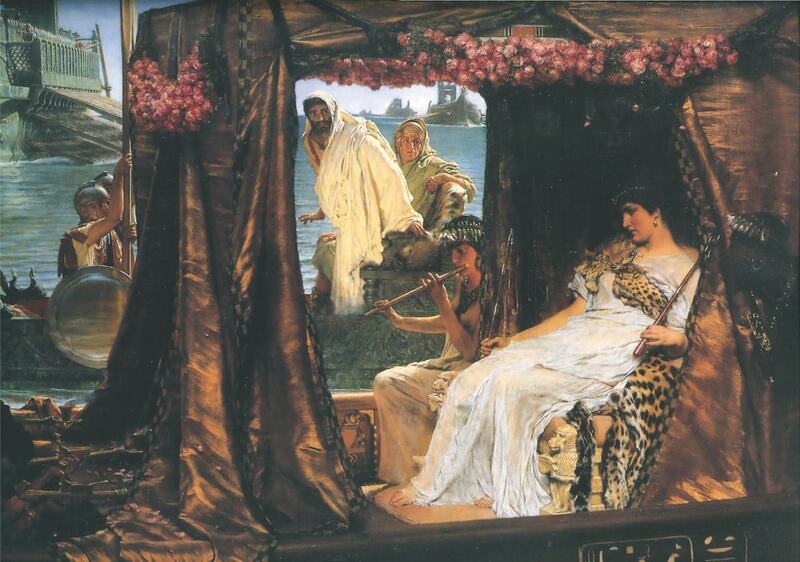 In 41 BC, Cleopatra used her barge to seduce the Roman general Marc Antony. Next, learn from the queen herself. In her arsenal were the five senses—Cleopatra shrewdly manipulated them all, and you should too. Her wisdom beggared all description—besides using a wooden boat (you’ve got your wooden table), she used sight, touch, sound, taste, and smell and they became magic wands under her spell. Shakespeare describes touches of flower-soft hands, invisible perfumes (even the winds were lovesick from the scents! ), flutes, fifes, and harps, and then, after her brilliant take-charge move, the seductive feasting began. Cleopatra’s clincher: upon meeting Antony, she immediately took the upper hand by refusing his invitation to supper, saying it should be better he became her guest. Taking charge is alluring. The Dean will let you figure this one out. After all, it’s your night. The Academy cannot micromanage your magic. Let nature take its course. What you don’t want is a gray pork chop. A gray chop indicates the heat wasn’t high enough. It means that you were chicken. Don’t get chicken with the pig. The difference between chefs and home cooks is that chefs are not afraid of high heat. The pork chop goal is juicy pink on the inside, crispy fat on the outside. The difficulty lies between crusty on the outside and tender on the inside. For starters, buy your pork chops from the best butcher in town. Making an inferior pork chop superior is impossible. Heat a cast iron skillet over high heat. When the surface is hot, pour a generous slug of olive oil in the pan. You are not frying the chop, but you need more oil than a bare sheen. Using enough hot oil is the reason the fat crisps and becomes delicious. This heated oil is going to splatter, so wear an apron to protect your clothes and know you will be wiping the stove and the floor near the stove during cleanup time. Your valentine’s stomach and yours are worth that hassle. When the oil starts to pop or “spit” (after about thirty seconds), lay the pork chops in the pan and leave them alone for exactly five minutes. Then turn the chops over. The second side is the creative side. Not to make you crazy, but “listen to the vibe.” Depending on the chop’s thickness, the temperature of the pan surface, and even the humidity, the second side will cook in three to five minutes. After cooking pork chops a few times, you will know precisely when it is ready by touching and looking. Until that time comes, know that your chop is finished when the second side’s fat is crispy but the interior is pale pink. Stick a knife tip into the middle of the meat and take a look at the color. There’s a fine line between pinky perfection and gray overtones. 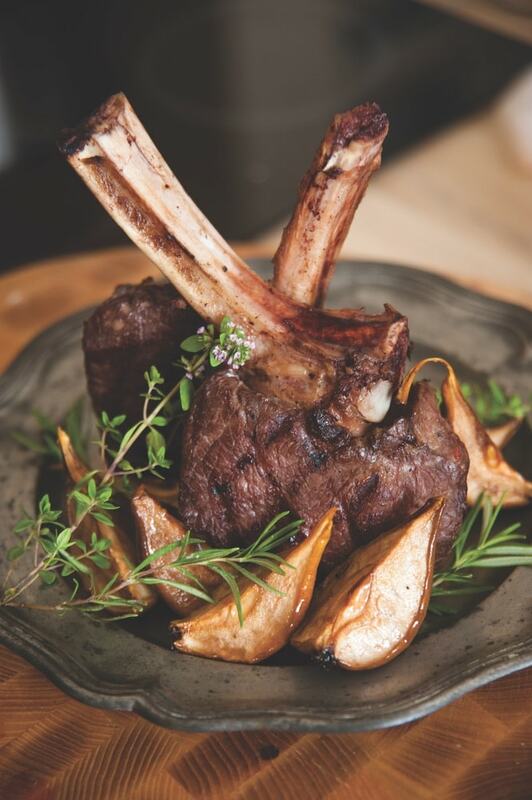 When you turn the chop to the second side, place sage leaves and slices of pears around the chops. Both leaves and fruit will be ready in two minutes when browned and crispy. Serve pork chops with sage and pears on the side. This recipe pairs perfectly with Pollak’s cherries jubilee. The recipe for this delicious dessert can be found in The Charleston Academy of Domestic Pursuits: A Handbook of Etiquette with Recipes.